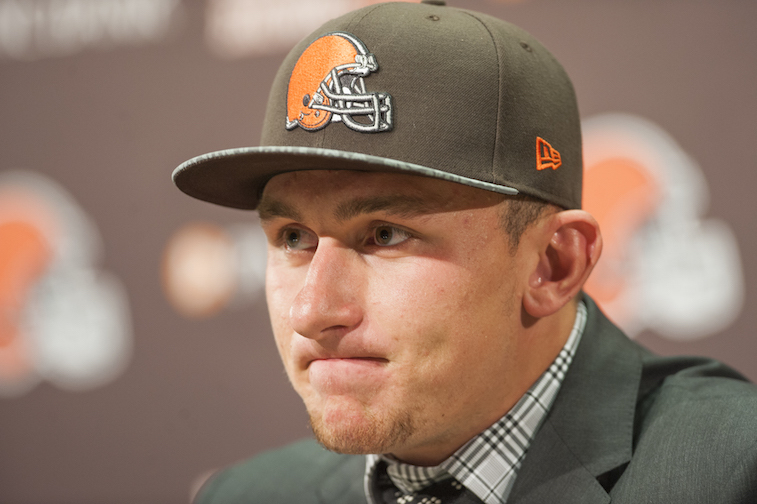 NFL: Is Johnny Manziel in Danger of Being Cut By the Cleveland Browns? Johnny Manziel’s football career is shaping up to be a cautionary tale for the highly touted quarterback prospects of the future. The now 22-year-old Cleveland Browns signal caller took the college football world by storm as a freshman at Texas A&M in 2012, and has been one of the most polarizing football players in the country – at any level – ever since. He turned in another strong campaign as a sophomore in 2013, and opted to leave college with two years of eligibility remaining and enter his name into the 2014 NFL Draft. After being the most wildly debated player during the pre-draft process since Tim Tebow, the Browns traded up to select Manziel with the 22nd overall pick. The pick was the cause for a great deal of excitement throughout Cleveland and the entire state of Ohio, but as Browns’ fans have become so accustomed to through the years, the excitement was all for naught. It’s been all downhill for Tyler, TX native ever since the excitement of being selected in the first round of NFL Draft died down. It wasn’t until Week 15 of his rookie season that Manziel was able to unseat Brian Hoyer as the Browns’ starting quarterback, and his stay atop the team’s depth chart would only last two weeks. After a terrible starting debut against the Cincinnati Bengals in Week 15, Manziel pulled his hamstring shortly into what had the makings of another abysmal start during the team’s Week 16 game against the Carolina Panthers. The injury ended Manziel’s 2014 season, and things would only continue to get worse from there. In the days following Super Bowl XLIX, Manziel checked himself into a rehabilitation facility to become a “a better family member, friend and teammate.” At the time, the move to enter rehab seemed like a step in the right direction for a player who couldn’t seem to keep himself out of trouble. While it still may prove to be a worthwhile move, Manziel proved this weekend at the AT&T Byron Nelson golf tournament that he is still struggling with immaturity issues. Manziel’s latest incident got us thinking, how much longer will the Browns be willing to put up with off-field issues from a player who has been subpar on the field up to this point in his career? If the Browns truly are ready to move on from Manziel, it makes no sense for them to keep him on their roster. Head coach Mike Pettine will almost surely spend time every week answering questions from the media regarding his backup quarterback, and McCown could be the next NFL quarterback who struggles to perform at a high level while having to constantly worry about his job security. We’ve seen it happen multiple times during Tebow’s career, and it even happened to a lesser extent with Manziel in Cleveland last year. Having a backup quarterback, who happens to also be one of the most recognizable athletes in the sport, never really works out well for any of the parties involved. 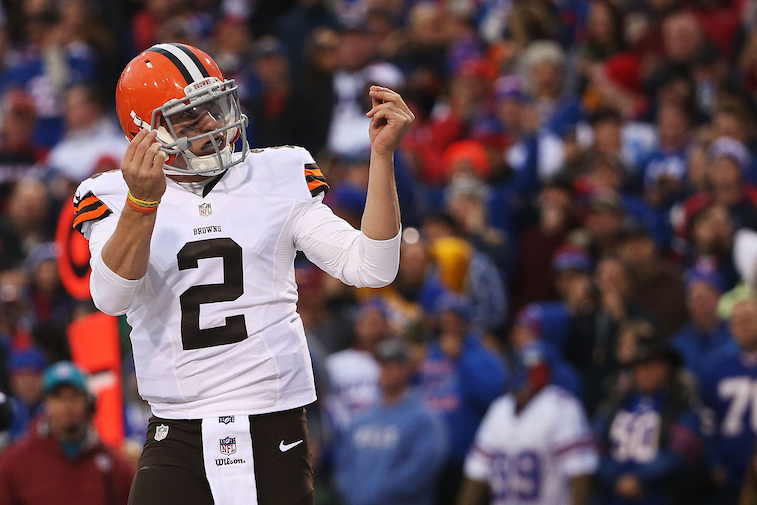 When it comes down to it, we would be surprised to see the Browns release Manziel after only one season. With that being said, if Manziel’s play doesn’t improve in a hurry, it’s hard to envision the Browns continuing to put up with his antics outside of football. And hey, maybe getting cut is exactly what the controversial quarterback needs to inspire him to grow up.